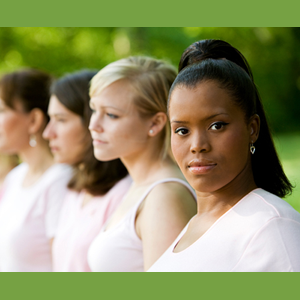 FRIDAY, Jan. 14 (HealthDay News) — In an ongoing effort to shed light on the reason for racial disparities in breast cancer prognosis, researchers in North Carolina report new findings from their research on black women and breast cancer. 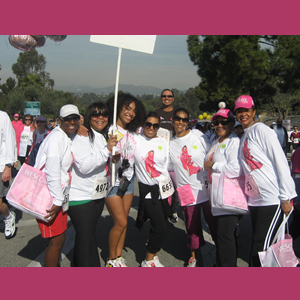 Previous research has shown that breast cancer in younger Black women in the United States is more likely to be the more aggressive basal-like (triple-negative) subtype, which may help explain why black women are more likely to die from breast cancer than other women. In this new study, researchers analyzed tissue from 518 black women and 631 white women with invasive breast cancer who were enrolled in the Carolina Breast Cancer Study. “Our data show that basal-like breast cancer is an equally aggressive disease in African-American women and white women,” study co-author Charles M. Perou, a professor of genetics and pathology at the University of North Carolina at Chapel Hill School of Medicine, said in a university news release. 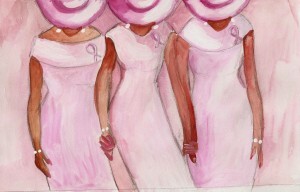 African American and other women of color are more often diagnosed with triple-negative breast cancer than white women. 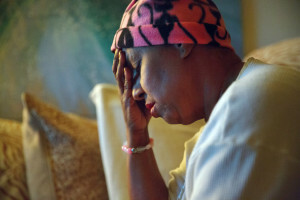 “In addition, African-American women had worse outcomes no matter what kind of breast cancer they developed, suggesting that other factors such as disparities in access to care and treatment, for example for the more common subtypes of breast cancer like luminal A breast cancer, also contribute to the higher breast cancer mortality observed in African-American women,” Perou said. The data suggest that it may not be possible to “identify a truly good prognosis subtype [of breast cancer] in African-American women and we need to find out why,” study co-author Dr. Lisa Carey said in the news release. The study was published in a recent issue of the journal Clinical Cancer Research. Statistics presented at the Third AACR Conference on the Science of Cancer Health Disparities revealed that BLACK WOMEN OFTEN HAVE LOWER VITAMIN D LEVELS THAN WHITE WOMEN. The authors of a study on the subject added that the participants’ vitamin D deficiencies were associated with and increase for breast tumors. Epidemiologists at the University of South Carolina analyzed blood samples taken from more than 100 women, all of whom had developed breast cancer. While white women had an average of 30 nanograms of the vitamin in each milliliter (ng/mL) of their blood, African-Americans levels were closer to 19 ng/mL, just under the 20 ng/mL limit which defines vitamin D deficiency. The team concluded that their findings , saying that further research into the link between cancer and low vitamin D levels is necessary. They theorized that the pigment of darker skin may prevent some of the nutrient from being synthesized through sunlight absorption. Common sources of vitamin D include eggs, liver and fish oil. Individuals who are concerned about their nutrient and mineral levels may consider taking a daily supplement to improve their health and wellbeing.